The next tantalizing taste of new music from The Cat Empire via their song-a-month reveal for 2018 is the slow burning La Sirène. Eloise Mignon works as an actress in theatre, film and television in Europe and Australia, in both English and French. She is currently performing in Sarah Kane’s Blasted at Malthouse Theatre, and doing a PhD in English and Theatre Studies at the University of Melbourne. La Sirène is her first recorded song. La Sirène pays homage to the devoted fan base in French Quebec,which has been a home away from home for The Cat Empire for over a decade. The band has played to their biggest ever audience in Montreal, not only once, but twice to over a quarter of a million people as part of Montreal Jazz festival. Their popularity in the region has been helped enormously by the fact that co-front man Harry James Angus speaks French, and has been able to engage media and fans in their own language. They also hold a venue record at The Metropolis Montreal for the most sold out shows a band has ever played at that venue. 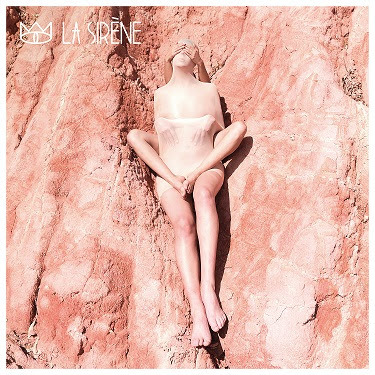 The cover image for La Sirène, called Clay Body, is by Prue Stent, Honey Long and Clare Longley, three good friends and artists whose practices have merged and mingled in different ways over the years, coming together at different points to explore shared fascinations and the common threads. Prue Stent is a cousin of Harry James Angus’, so the band are delighted to be collaborating with another artistic family member. It’s been a massive year so far for The Cat Empire, after releasing the brand new songs Ready Now and Stolen Diamonds, the band have mobilised their global fanbase with these two new songs alone amassing over 1 million streams and 75,000 views on YouTube and counting. Now with the release of La Sirène that engagement looks set to continues as The Cat Empire continue to build on another standout year in their already storied career. After an already massive run through Europe playing major festivals, nearly all shows on the Australian leg of their 2018 World Tour have sold out. Only a few tickets remain in Canberra, Gold Coast and WA, additional shows have just been announced in Darwin and Yalingup WA.